We invite you to take a moment and share this e-card with your friends and family. Simply click the Share button above and chose your favorite method of sharing ... e-mail, Facebook, Twitter and more. 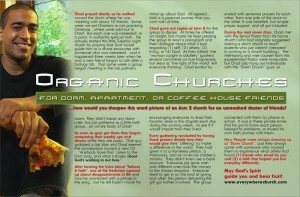 Email an E-Card to your friends as an invitation or encouragement for them to begin their own organic church!